AMD on Monday introduced its six-core Opteron chip for servers, also known as Istanbul, and positioned it as a value play for data centers looking for an easy way to expand and power efficiency. Larry Dignan notes the early launch of Istanbul is a positive development in AMD's battle with Intel. AMD on Monday introduced its six-core Opteron chip for servers, also known as Istanbul, and positioned it as a value play for data centers looking for an easy way to expand and power efficiency. For AMD, the early launch of Istanbul is a positive development in its battle with Intel. AMD, however, is months behind Intel's Dunnington chip, a six-core server processor that launched in September. Leslie Sobon, vice president of product marketing at AMD, gave her pitch in a Webcast. Her message: Istanbul is an easier upgrade since its based on a common platform with previous generations with more performance per watt. 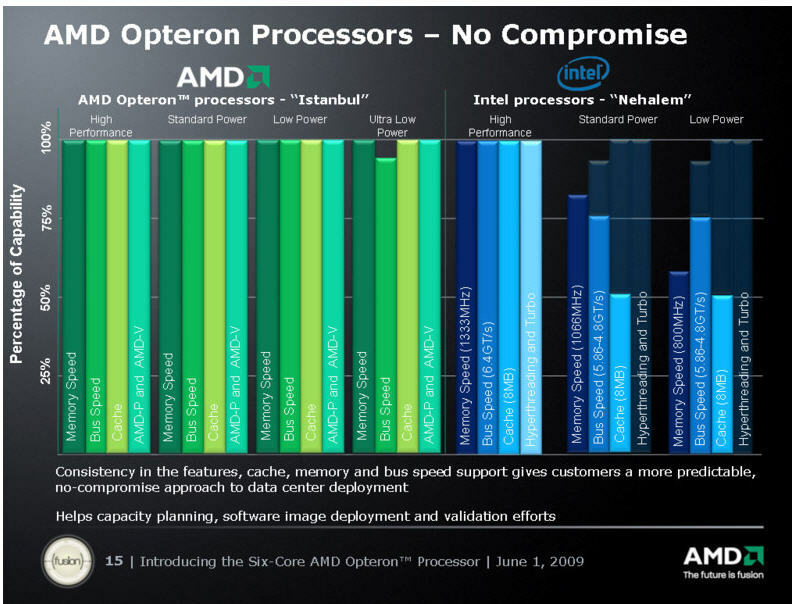 Sobon noted that AMD's latest Opteron is available today. 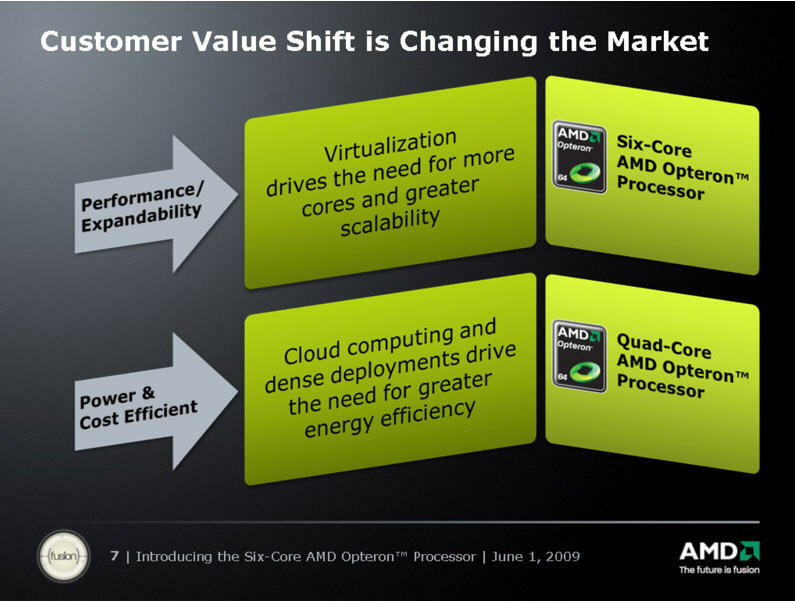 The AMD strategy revolves around value in a down economy. 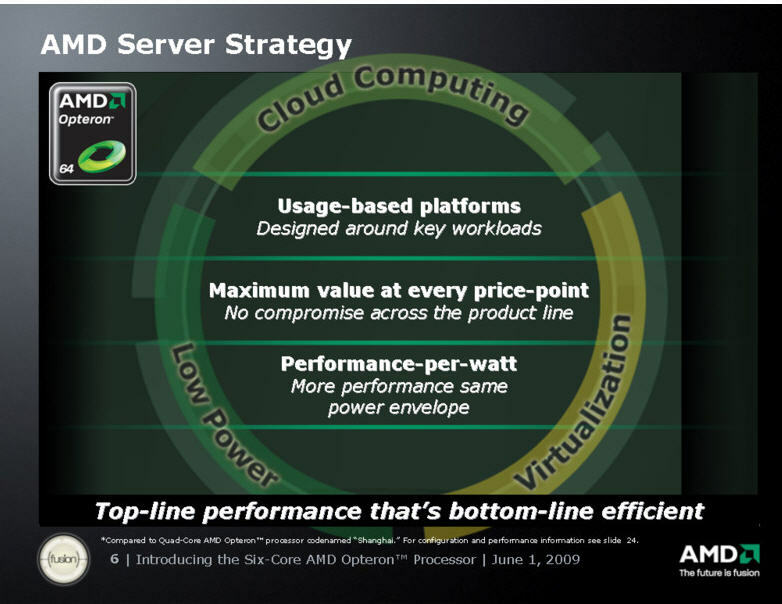 AMD's strategy (blog) is to talk about virtualization and power efficiency and offering those features across all of its processors. AMD called out Intel for rejiggering features based on the chip. 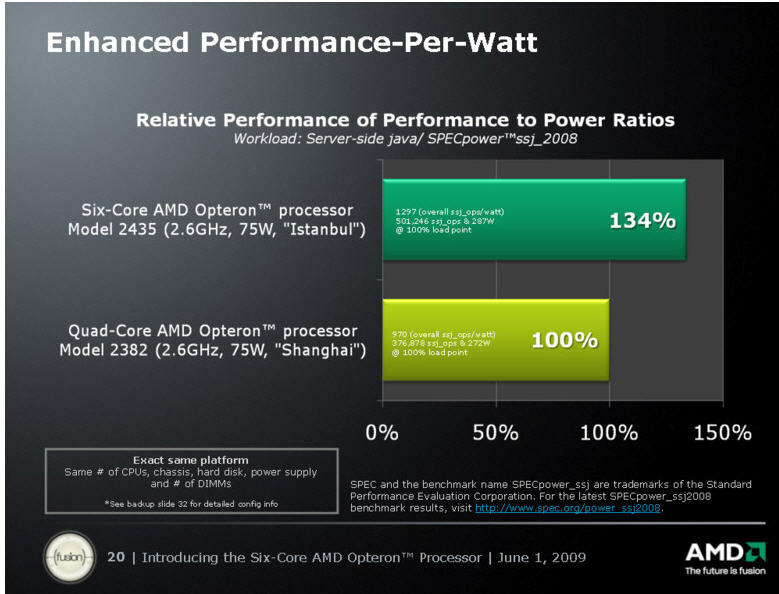 AMD also talked up performance per watt and additional savings since Istanbul operates on the same platform as its predecessor, Shanghai. The argument: AMD's six-core Opteron uses the same chassis, hard disk, power supply and number of DIMMs. That adds up to save money. Systems based on Istanbul will be available in June from the likes of Cray, Dell, HP, IBM and Sun Microsystems. 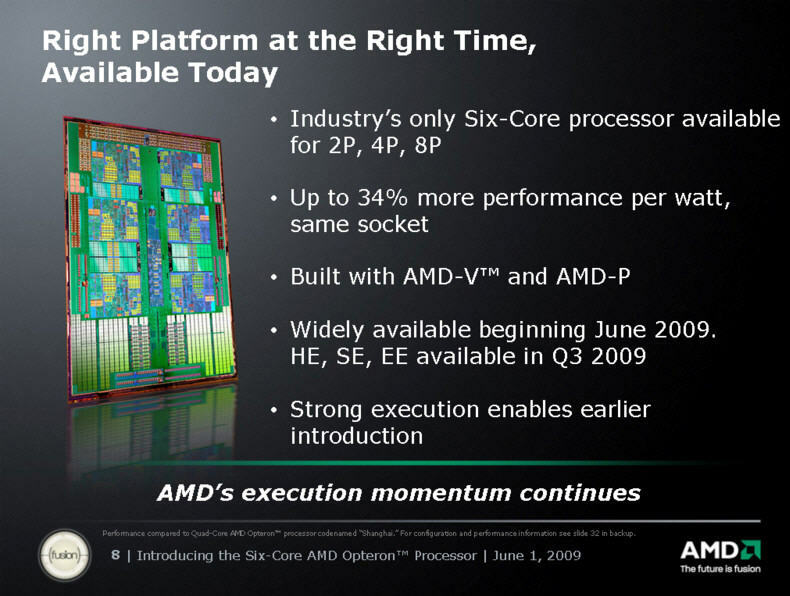 HE, SE and EE versions of the six-Core AMD Opteron are planned for the second half of 2009.